Congratulations to Jessica Gangle and Davis Finfrock for being selected to the FHSAA Academic All State team. GAINESVILLE, Fla. – The Florida High School Athletic Association (FHSAA) announced Monday the 25th Annual Florida Dairy Farmers Academic All-State Team, a recognition program that honors 24 graduating student-athletes who excel in both athletics and academics. With this being one of the most important special recognition programs the FHSAA sponsors, 12 girls and 12 boys from all over the state will be awarded a total of $50,000 in scholarships. To be eligible for this award, students must be a graduating senior with a minimum 3.5 unweighted grade point average and earned a minimum of two varsity letters in at least two different sports during their junior and senior year. The 2019 Florida Dairy Farmers Academic All-State Team selection committee received applications from 116 qualified student-athletes and evaluated them based off athletic participation, academic record, extracurricular activities, community service and essay. Each Academic All-State Team member will be recognized at a commemorative banquet on Monday, June 10 in Gainesville, where they will receive a $1,700 scholarship and a commemorative medallion. 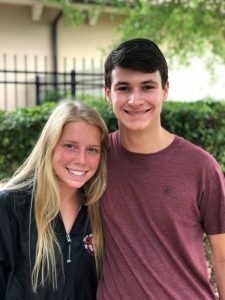 Out of the 24 All-State Team members, one male and one female will be named the Ron Davis Scholar-Athletes of the Year, the FHSAA’s most prestigious honor bestowed on any active student-athlete. The winners of this award will earn a commemorative trophy and an additional $4,600 in scholarship funds – $6,300 in total. Isabella Allen, Miami Country Day – Isabella owns a 4.0 GPA and is in the top five of her class. She lettered in three sports (cross country, soccer, softball) and was voted captain in all three sports. Isabella is graduating as the Vice President of her senior class and implemented a program at the Holtz Children’s Hospital that allowed patients to celebrate Halloween once every three months. She is the daughter of Matt and Lisa Allen and plans on studying engineering this fall. Sophia Bailey, Robinson (Tampa) – Sophia owns a 4.0 GPA and is in the top 10 of her class. She lettered in flag football and soccer all four years and is a three-time FHSAA state champion in flag football. Sophia was a two-year member of the FHSAA Student-Athlete Advisory Committee and represented the FHSAA at the National Student Leadership Summit in Indianapolis. She is the daughter of Karla Bailey and plans on studying chemical engineering at Northeastern University in Boston, Massachusettes this fall. Peyton Burdette, Lecanto – Peyton owns a 3.8 GPA and is in the top 50 of her class. She lettered in cross country, soccer and track & field and was voted captain in both cross country and soccer. Peyton was a two-year member of the FHSAA Student-Athlete Advisory Committee and represented the FHSAA at the National Student Leadership Summit in Indianapolis. She is the daughter of Jeff and Shaunda Burdette and plans on studying both human resources and political science at the University of Florida this fall. Jenna Byrne, Benjamin (Palm Beach Gardens) – Jenna Byrne owns a 4.0 GPA and is in the top of her class. She lettered in four sports (lacrosse, cross country, swimming, soccer) and was voted captain of the lacrosse team. Jenna is graduating as the secretary of the Best Buddies and Red Cross club. She is the daughter of William and Elizabeth Byrne and plans on studying engineering at Rutgers University this fall. Greta Dieck, Academy of the Holy Names (Tampa) – Greta Dieck owns a 4.0 GPA and is in the top of her class. She lettered in three sports (cross country, basketball, track) and was voted captain in both basketball and cross country. Greta is graduating as the co-chair for the Passionate Outstanding Women Encouraging Respect Committee. She is the daughter of Douglas and Tricia Dieck and plans on studying political science in college this fall. Jessica Gangle, Winter Park – Jessica Gangle owns a 4.0 GPA and is in the top 25 of her class. She lettered in three sports (cross country, water polo, swimming) and was named a NISCA All-American in water polo. Jessica was class president throughout her four years in high school. She is the daughter of Kelley and Jeffrey Gangle and plans on studying psychology in college this fall. 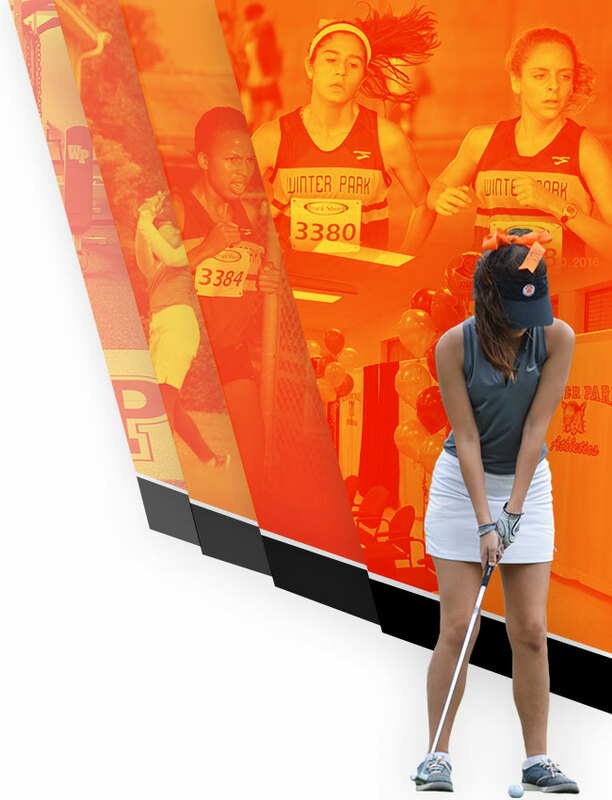 Campbell Lackey, Cape Coral – Campbell Lackey owns a 4.0 GPA and is in the top 15 of her class. She lettered in three sports (volleyball, basketball, lacrosse) and has received the coach’s award twice in high school. Campbell is the executive board historian at her school and is very involved within her community. She is the daughter of Todd and Jean Lackey and her college plans are undecided. Elise Medlock, Crestview – Elise Medlock owns a 3.96 GPA and is in the top five of her class. She lettered in three sports (soccer, tennis, cross country) and is graduating as the captain of the soccer and tennis team. Elise placed first in Human Growth and Development at the 2019 Health Occupation Students of American (HOSA) Region 1 competition. She is the daughter of Kimberly and Parks Medlock and plans on studying biomedical sciences at the University of West Florida this fall. Sara Sutton, Melbourne Central Catholic – Sara Sutton owns a 4.0 GPA and is in the top of her class. She lettered in four sports (swimming, cross country, track, tennis) and competed in the 2018 USA Triathlon Olympic Age Group National Championships. Sara participates in youth group and raises money for Dance Marathon, while also playing the piano at an assisted living facility. She is the daughter of Kerry and Cort Sutton and plans on studying chemistry at the University of Miami this fall. Haley Wadsworth, Middleburg – Haley Wadsworth owns a 3.96 GPA and is in the valedictorian of her class. She lettered in four sports (tennis, weightlifting, volleyball, soccer) and is earned All-County honors in tennis. Haley is the class representative and President of the National Honor Society, BETA National Club and Future Business Leaders of America Club. She is the daughter of Debbie Wadsworth and will be studying business management in college this fall. Madelyn Wilson, North Broward Prep (Coconut Creek) – Madelyn Wilson owns a 4.0 GPA and is in the second of her class. She lettered in basketball and volleyball and was voted captain on both squads. Madelyn has been an assistant to special need athletes and elementary school children. She is the daughter of Michael and Niki Wilson and plans on study engineering at Vanderbilt University this fall. Alana Wolfberg, Timber Creek (Orlando) – Alana Wolfberg owns a 4.0 GPA and is in the top of her class. She has lettered in four sports (tennis, track, cross country, bowling) and is a four-time FHSAA state champion in tennis (three singles, one doubles). Alana founded a club in the 11th grade called “We Are One,” which promotes inclusion of all students, especially at lunch. She is the daughter of Jeff and Monique Wolfberg and plans on studying medicine at Oklahoma State University in the fall. Benjamin Altshuler, North Broward Prep (Coconut Creek) – Benjamin Altshuler owns a 3.89 GPA and is in the top 20 of his class. He lettered in cross country and track all four years. Benjamin designed of a snack bar made just for ocean enthusiasts. He is the son of Tricia and Jeff Altshuler and plans on studying entrepreneurship in college this fall. 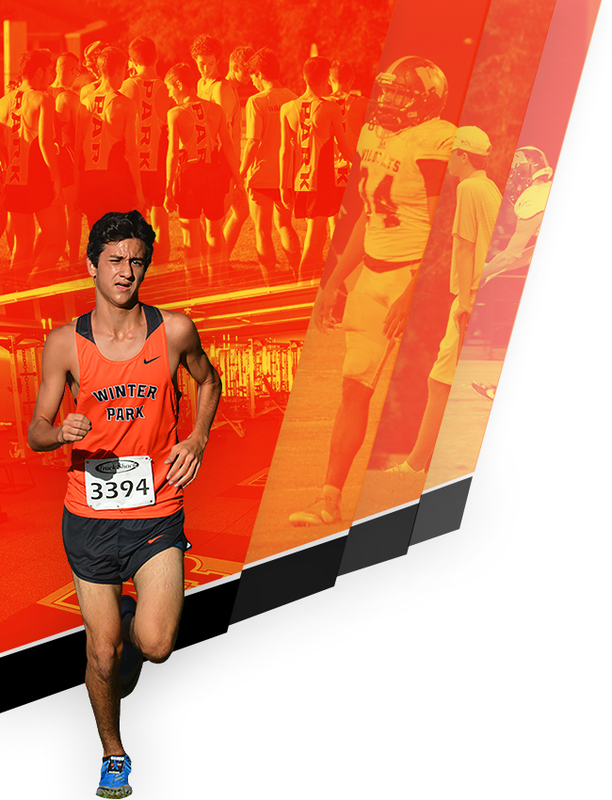 Davis Finfrock, Winter Park – Davis Finfrock owns a 4.0 GPA and was second in his class. He lettered in cross country and track and owned the highest GPA on both teams. Davis is the founder and president of the Physics Club. He is the son of Jennifer and Bill Finfrock and plans on studying civil engineering at Duke University this fall. Travis Freeman, Lakewood Ranch (Brandon) – Travis Freeman owns a 3.92 GPA and is in the top 10 his class. He lettered in two football and soccer and was voted captain of both teams. Travis enjoys working at youth soccer camps and volunteering across the county. He is the son of Mark and Stacy Freeman and plans on studying biology at the University of Florida this fall. Nathaniel King, Episcopal (Jacksonville) – Nathaniel King owns a 4.0 GPA and is in the valedictorian of his class. He lettered in golf and tennis and finished fourth at the Florida High School Golf State Championships. Nathaniel is a National Merit finalist and visited the Dominican Republic on mission trips three times while in high school. He is the son of Brian and Andree King and plans on studying business in college this fall. Renier Martinez, Archimedean (Miami) – Renier Martinez owns a 3.83 GPA and is in the top 10 his class. He lettered in basketball and volleyball, the latter of which he was voted captain. Renier was a two-year member of the FHSAA Student-Athlete Advisory Committee and represented the FHSAA at the National Student Leadership Summit in Indianapolis. He is the son of Maurilia Rodriguez and Renier Martinez and plans on studying business at the University of Chicago this fall. Thomas Rodriguez, Archbishop McCarthy (Southwest Ranches) – Thomas Rodriguez owns a 4.0 GPA and ranked in the top five of his class. He lettered in cross country and track and was a two-time Class 2A district champion. Thomas has taken his love for music and has created a website where he critiques albums. He is the son of Raul and Ivonne Rodriguez and plans on studying journalism and economics at the University of Florida this fall. Dylan Ryan, Lyman (Longwood) – Dylan Ryan owns a 4.0 GPA and is in the top in his class. He lettered in volleyball and soccer all four years of high school. Dylan has been actively involved in student government, three national honor societies and with the National Federation of Music. He is the son of Daniel and Brigid Ryan and plans on studying mechanical engineering in college this fall. Tanner Rosolino, Father Lopez (Daytona Beach) – Tanner Rosolino owns a 4.0 GPA and is in the top five of his class. He lettered in three sports (cross country, soccer, track) and will graduate with 10 varsity letters. Tanner is enrolled in five dual-enrollment college courses this school year and is a National Merit Scholar semifinalist. He is the son of Michael and Carrie Rosolino and plans on studying engineering at Embry Riddle Aeronautical University this fall. Gabriel Tettamanti, Pine School (Hobe Sound) – Gabriel Tettamanti owns a 3.7 GPA and is in the valedictorian of his class. He lettered in three sports (cross country, soccer, tennis) and will be graduating as the tennis and soccer captain. Gabriel taught a group of 15 children (Ages 8-14) to play different instruments each summer. He is the son of Anna Marie and Marcelo Tettamanti and plans on studying business at the University of Pennsylvania this fall. Weston Tew, Crestview – Weston Tew owns a 4.0 GPA and is in the valedictorian of his class. He lettered in two sports football and wrestling and was a district football champion three times. Weston has documented more than 500 hours of community service and ranked Eagle Scout through Boys Scouts of America. He is the son of Holly and Aaron Tew and plans on studying Mechanical Engineering at Brigham Young University this fall. Nicholas Tompkins, First Baptist (Naples) – Nicholas Tompkins owns a 3.9 GPA and is in the top of his class. He lettered in three sports (football, basketball, track) and was named most outstanding male athlete at First Baptist. Nicholas has traveled to Nicaragua, the Dominican Republic and China to volunteer his time, while also running a youth basketball camp in China. He is the son of Keith and Angela Tompkins and plans on studying history at Davidson College this fall. Chase Trinklein, All Saints Academy (Winter Haven) – Chase Trinklein owns a 3.86 GPA and is in the top 20 percent of his class. He lettered in football and lacrosse and was voted captain of both teams. Chase won the All Saints Academy Service Award twice in high school. He is the son of Steve and Kimberly Trinklein and plans on studying biomedical sciences at the University of South Florida this fall. Florida Dairy Farmers (FDF) is Florida’s milk promotion organization, representing more than 100 dairy farming families who work every day to provide a steady supply of wholesome milk. FDF’s sponsorship of the Academic All-State Team compliments the organization’s long history of supporting Florida’s student-athletes. In its 25th year of sponsoring the Florida Dairy Farmers High School Sports Awards program, FDF also honors the state’s top athletes and coaches in all FHSAA sanctioned sports.